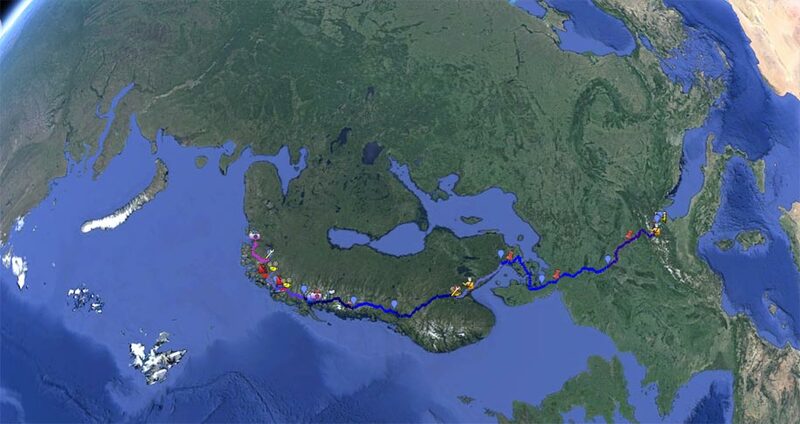 The total trip/expedition realized by Stefano Cagol was of 10.000 km from the Alps (Casso, Vajont dam, Italy) to the Arctic (Kirknes, Barents Region, Norway). 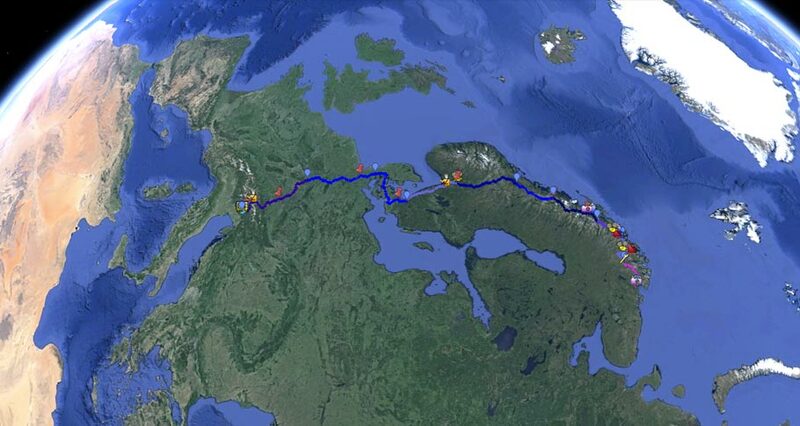 The trip was drawn by beamlines of 15 Km of range projected by a powerful beacon placed on a mobile work station: a van with the beacon and a power generator. The aim were symbolical locations, border locations, meaningful locations. Both locations selected in advance, and encountered along the way. In fact the mobile work station will be able to stop in the perfect point and to do also sudden steps where the artist feels the sensation of borders. 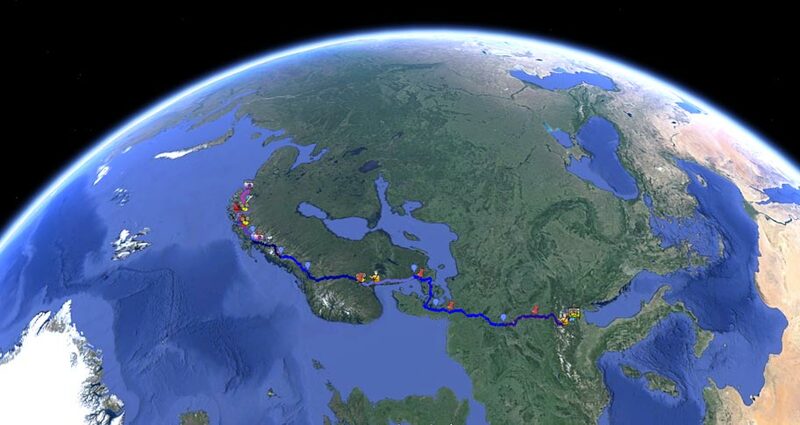 The lines of light ideally join countries, cultures, nations crossed byt the trip / expedition. The main places where fixed lines will be generated are in particular three, marking the beginning, the middle and the end of the trip, according to trajectories of the ray defined in advance. 3) in Kirkenes, through public and unexpected stops, the artist scanned all the borders of this edge of Europe. A ray in the twilight. 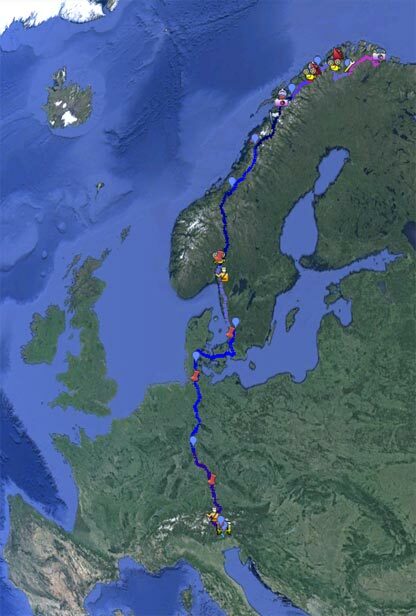 THE END OF THE BORDER (of the mind) moves from the core of the Alps, the Dolomites, to Norway: to the capital of Oslo, and to the extreme border of Kirkenes. The artist moves from one symbolic place to another and to be open also to unexpected encounters. He ideally connects them through light, through light he cancels borders, through light he will beam them. Ideally Cagol started his trip from Casso, a village of 14 inhabitants hanged on a mountain in the center of the Italian Alps: the light passed over an artificial dam for hydroelectric power in front of it that caused 2000 deaths 50 years ago and still now represents the mental limit and inability to react and go further beyond the tragedy. Then Cagol drove to Oslo, looking at the border between human and urban presence and nature, between water, ground and concrete. 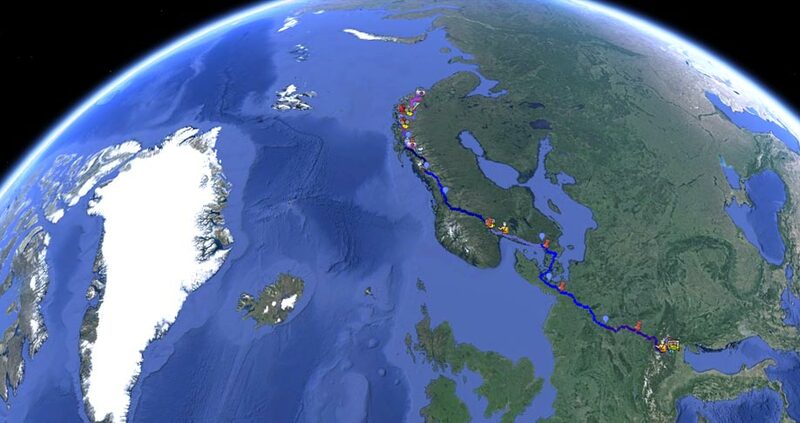 Finally he drove all along Norway from south to north, till the physical/political border of the Barents area, the trans-national area containing the extreme northern territory of Norway and of Russia corresponding to the Barents Sea coast. Cagol scanned several times the entire area of Kirkenes, the fjords, the Pasvik river, the border with Russia, that was probed in 3 points, but never be crossed. The light run along the militarized line of Schengen, as the Russian authorities din’t agree to the border crossing with the light. So the rays illuminated imaginary lines - those of political boundaries - still marked. Rewind: Stefano Cagol tried to dissolve the border between Italian culture and German culture that cuts the region of Trentino South Tyrol (Light Dissolution. Of the borders, 2008, parallel event to Manifesta 7, Trento). Then he tried to communicate beyond the borders in the raw, desolate winter landscape of north of Norway (Evoke Provoke. The border, 2010, Barents Spektakel, Kirkenes). The he already did on-the-move-projects for the first time in 2006 with Bird Flu Vogelgrippe driving from Trento to 4th Berlin Biennale with a van “full of birds songs and different influences”; then again with 11 settembre arriving from Mart museum in Rovereto and ZKM in Karlsruhe to his studio in Brussels on his birthday, September 11. THE END OF THE BORDER (of the mind) . LA FINE DEL CONFINE (della mente) March 5 - April 12, 2013. A project by Stefano Cagol, invited artist at the Barents Art Triennale, Kirkenes, Norway.